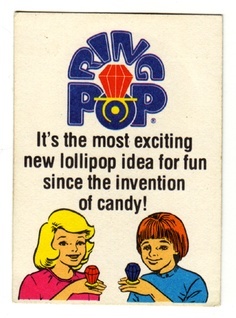 Frank Richards invented the Ring Pop in 1979. He created the sucker as a preventive for his daughter’s thumb sucking habit. Although Ring Pops didn’t stop his daughter from sucking her thumb, Frank Richards did make a much beloved candy that has be around for more than 30 years.